Today´s card is my take on the card Liz Yuille made the other day. If you want to watch her video you find it here. Well over to my card. 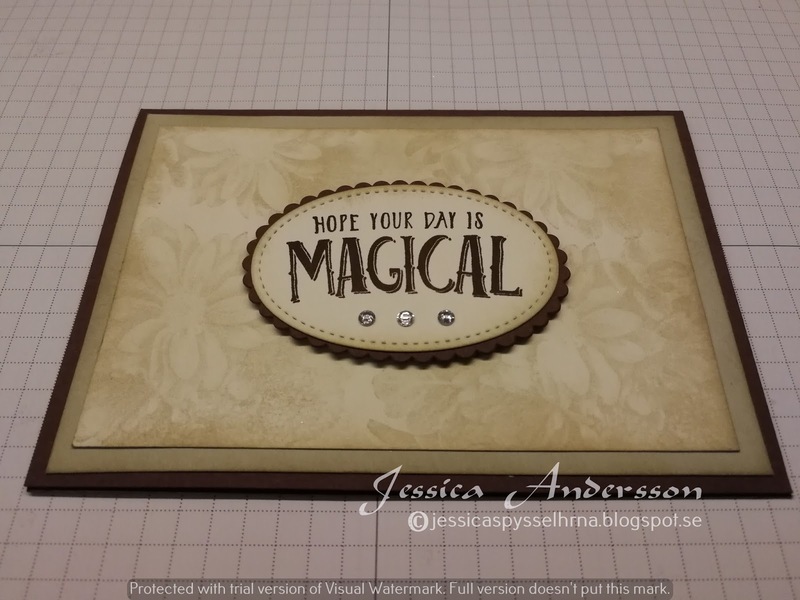 I used Chocolate Chip Cookies cardstock as base for my card. Then I added a mat of Sahara Sand cardstock, sponged the edges. 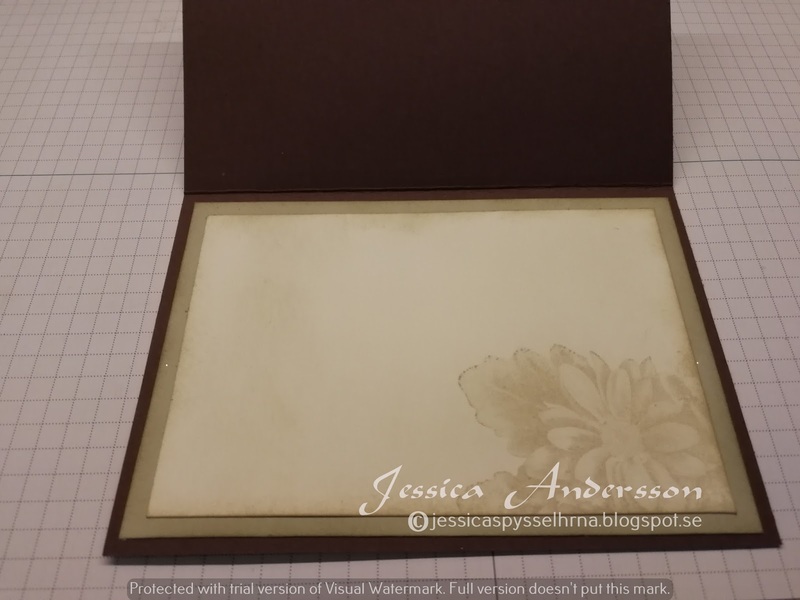 On Very Vanilla cardstock I stamped the flowers from the set called Heartfelt Blooms in Sahara Sand ink, stamped off once for a faded look. Then I also sponged the edges with Sahara Sand. 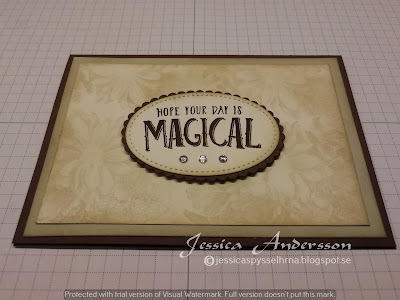 The sentiment is from the stamp set called Magical Day. Added som rhinestones on the sentiment. On the inside I have the same layers. I also stamped in the bottom right corner with same stamp as on the outside.